This cake screams FUN! 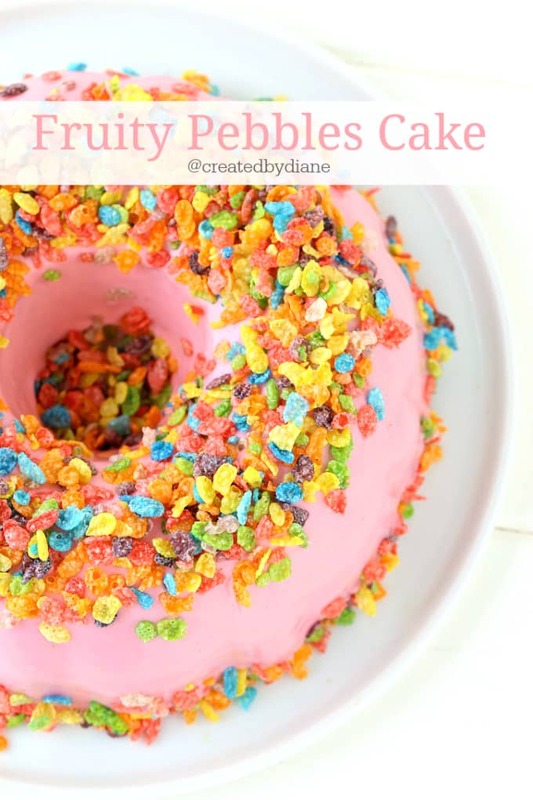 It takes a classic cereal Fruity Pebbles and joins it in a super yummy cake that adds a flavor explosion. One thing is for sure you NEVER can guess what someone else will LOVE. Take this cake for instance, I had no idea grown men would LOVE this pretty pink cake as much as they did. I know pink is certainly popular with the “girls” but wow was I surprised at the fun reaction from the guys. Even the non-dessert obsessed LOVED it. That rarely happens, and I LOVE when it does. Growing up I was way more inclined to want to grab a box of cocoa pebbles vs fruity pebbles, but I just LOVE them now! It’s funny how tastes change. 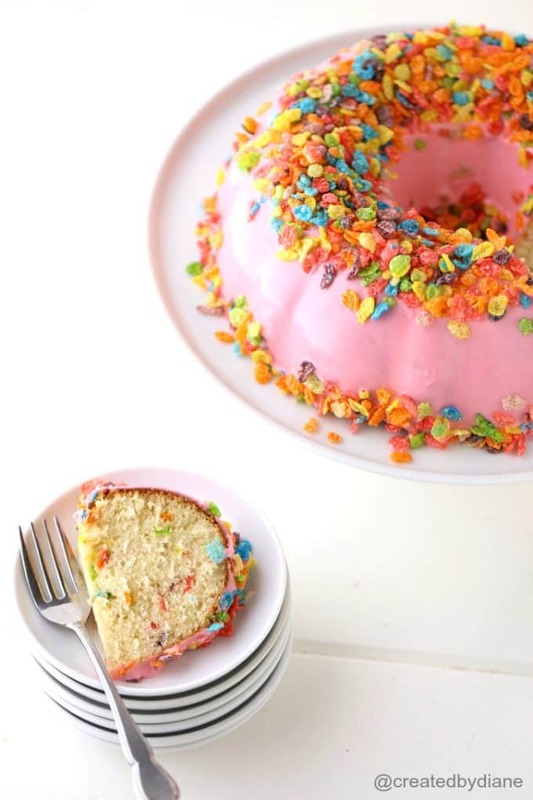 There are not only fruity pebbles sprinkled all over the top of the cake, the fruity flavor runs all through it! Bundt cakes are always a good idea in my book, if you’d like another delicious bundt cake recipe, take a look at my Lemon Blueberry Bundt Cake HERE. This cake sure gets a WOW reaction and it’s so fun it would be perfect to cheer someone up! In large mixer bowl beat sugar with eggs. 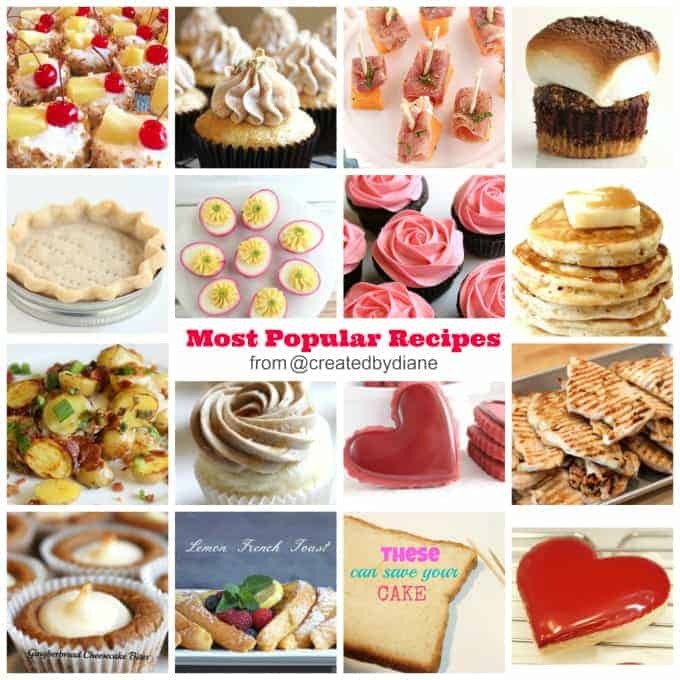 On low mix in flour, milk, butter, oil, baking powder and vanilla. Spray a bundt pan well with baking spray. Pour batter into pan and bake at 350 degrees for 40-45 minutes or until toothpick comes out clean. Test cake every 2 minutes as it gets close to the end so you don't overbake it. Cool in pan for 15 minutes, then turn pan over onto a cooling rack and allow the cake to cool completely before icing. Mix powdered sugar, corn syrup, pink color, and water together until smooth and thin enough to be able to drizzle over the cake without being too runny. 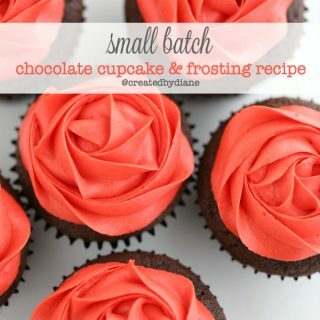 Add in a couple DROPS of water at a time to get a silky smooth icing. 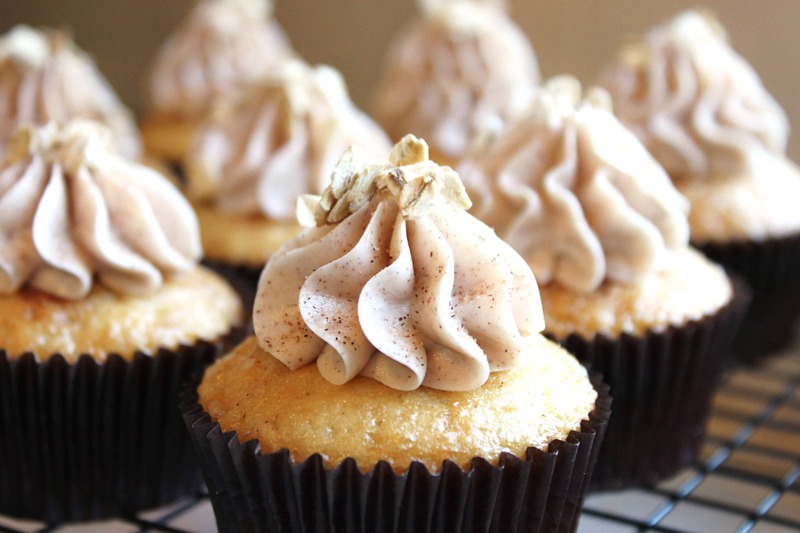 Place a piece of wax paper or foil under a cooling rack to catch the drippings of the icing. Pour icing over cake and spread with a spatula until the whole cake is completely covered. Place cereal over the top of the cake and some around the bottom where the cake meets the plate. This is the bundt pan that I use. It’s a great pan, cake release from it easily. 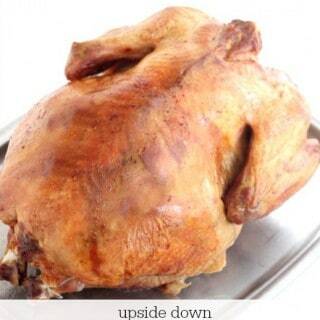 I just spray a baking spray before adding the batter. Once cooled about 15 minutes I turn the cake over on a plate, if the cake does not release on its own, I turn the pan back over so the open area is on top give it a good whack on the counter yes I bang the pan on a chopping block on the counter, then turn it over again and there are no areas that are stuck in this pan. My previous pan would always stick in the tiny groves. I’m so happy with this pan, I wanted to share it with you. Oh my, this cake it the cutest and tastes delicious! 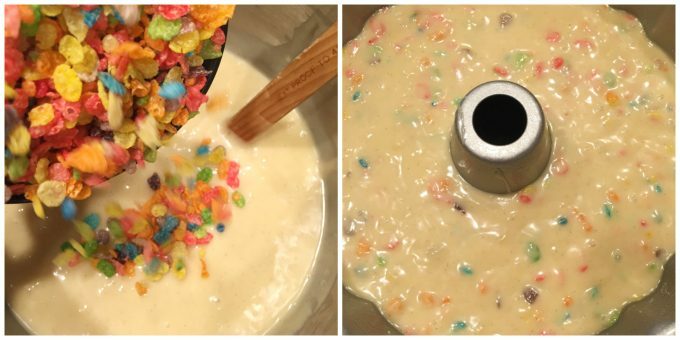 My kids love fruity pebbles and everyone loved it, adults, too! Just made this yesterday! Didn’t feel like making the icing so I used store bought strawberry buttercream and heated it up just enough to drizzle it on. Sooooo good. The cake is gone now! 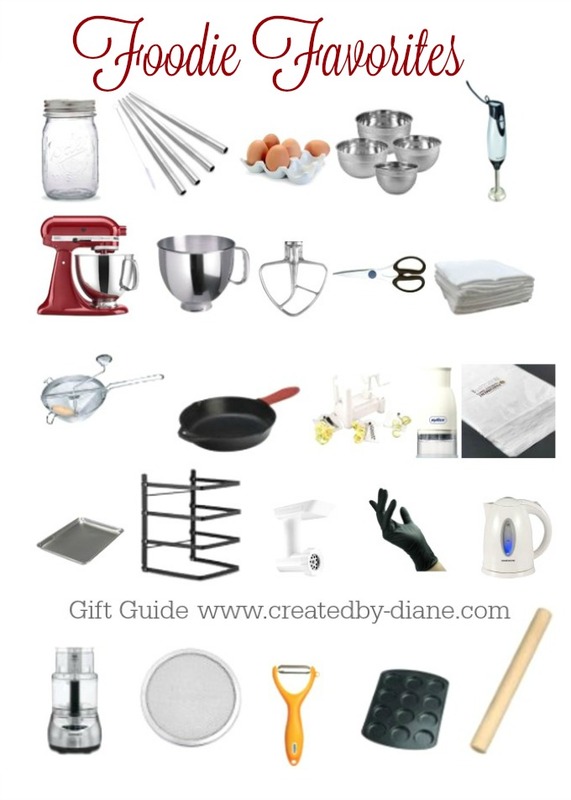 I will own a silicone bundt pan before making it again. It’s super dense & very sweet. I think a nice substitute for vanilla would be a lemon flavor cake. 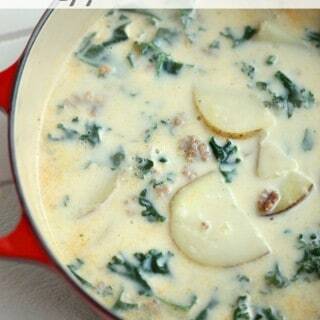 I’m going to make this today. Looks so nice and a great cake for Springtime!